Free estimates and 12 months warranty on Servo-Amplifiers, PLC's , Pendants, HMI, CPU's and much more. This is the key. 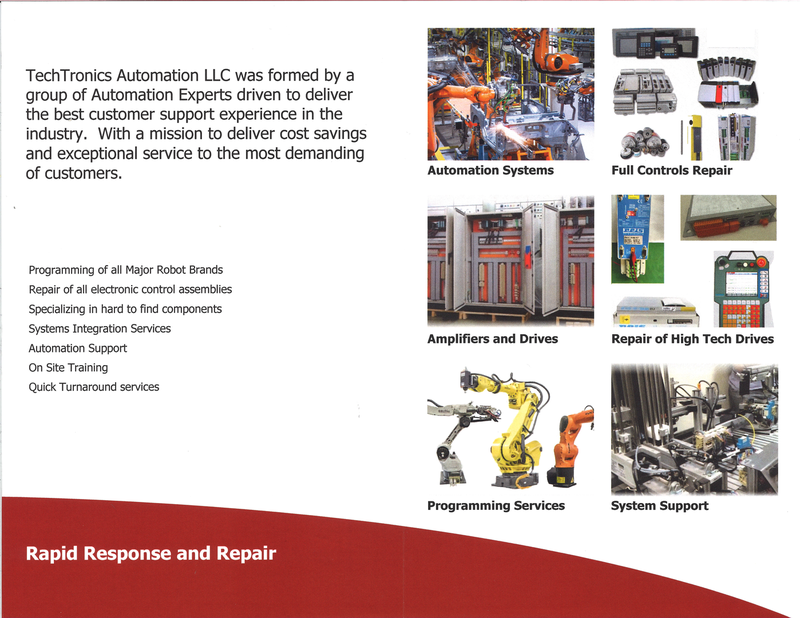 Our team is formed by experienced professionals, factory trained, ready to support your automation needs. We can assist you from Concept & Integration all the way to Training and Production Support. Casting, Arc-Welding, Handling, Dispensing, Laser and other processes. New Employees ? Refresher ? 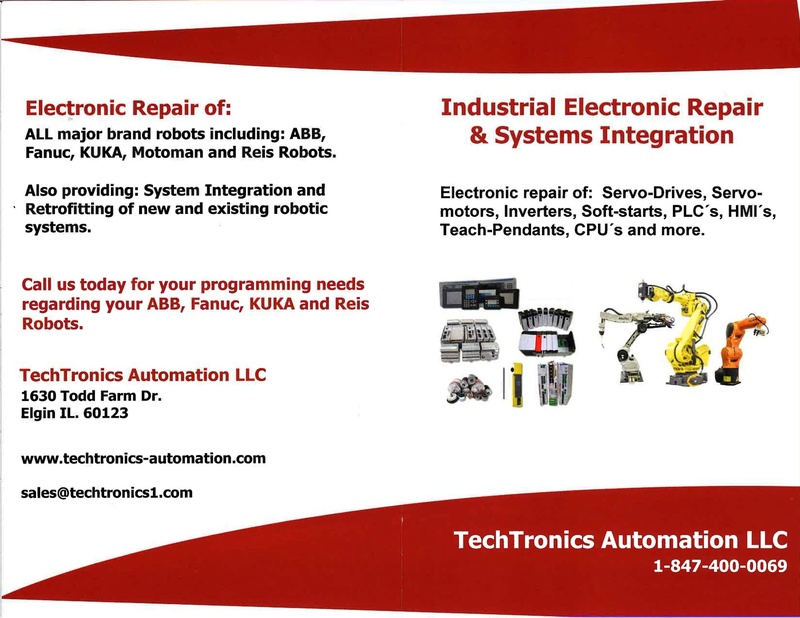 We can train your team on Robot Programming and Equipment Maintenance with a Customized content focused on your application. Factory Quality Repairs at a fraction of the price of a new part. Free Estimates - 12 Months warranty. Servo-Amplifiers, PLC's, CPU's, Teach-Pendants, Safety-Controllers, HMI's. Ample stock of new and refurbished Spare-Parts. Hard to find and obsolete items ? Give us a call !